Hi all. I have an order for sparklycake pops with added candy and fondant decorations. My question is this, after I dip the pops and dry them, I normally coat them with piping gel and sprinkle on the sanding sugar. If I do that to cover the whole pop in sugars would melted candy still work to attach the decorations? Or would they fall off because of the grainy sugar coating? 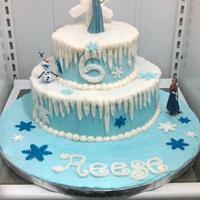 I've never used piping gel, so I'm not sure. I usually dip in the candy melts, let set up for a couple of minutes and then add my sugar, that way once the candy is set, so is the sugar. You could then go back and attach the fondant pieces with melted candy. Thanks! I will try it for sure. I've tried that method before but I usually wait too long and the candy is too hard for the sugar to stick or I add sugar too soon and it sinks into the candy. Timing is everything! Thanks again! You're welcome! Yes timing is key. I wait until the shine starts to disappear, but the candy is still wet, if that makes sense. At that point the sugar doesn't sink in, but adheres nicely.